Will Sally or Anna take your time into their hands? What about a date with Lilly? 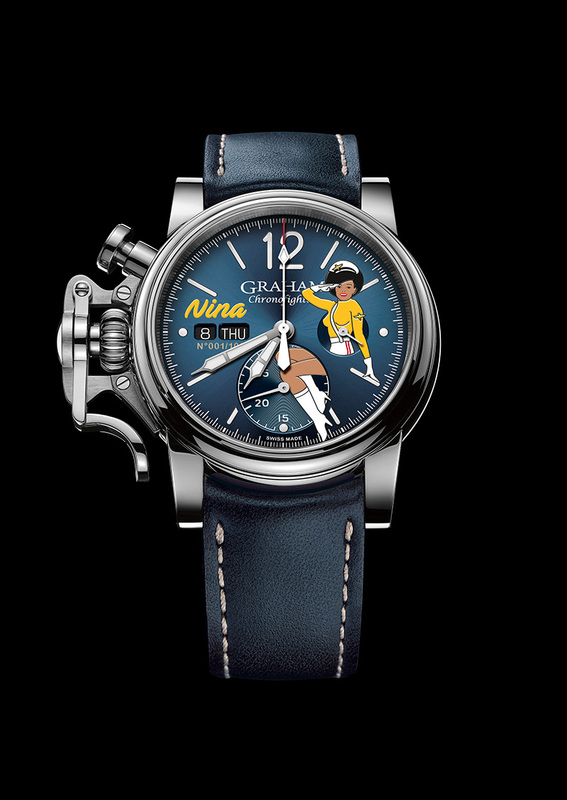 Or will Nina be the one to keep you on track? 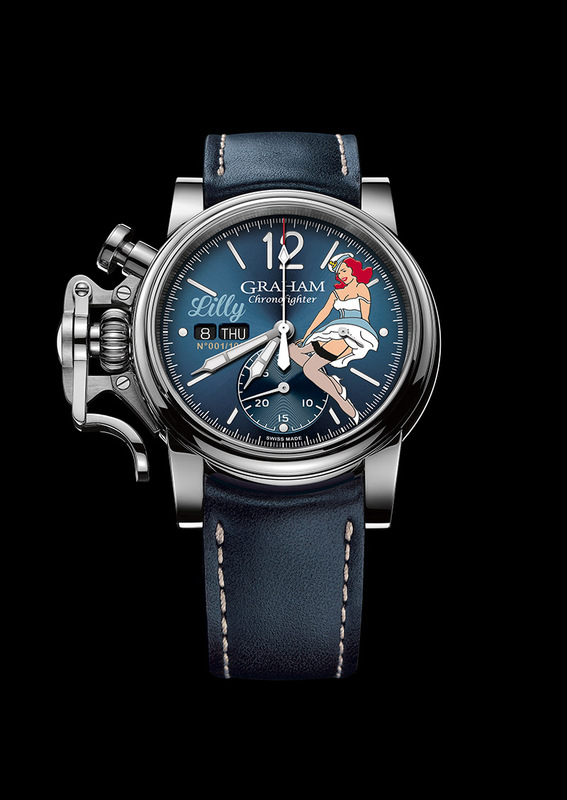 One of these lovely ladies is the mascot of precision timekeeping on each of the four 100-strong limited editions that make up the latest collection recruited to the Chronofighter Vintage series. 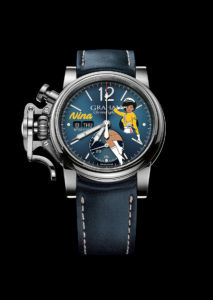 Glamorous illustrations, in the style of those first applied to military planes in the 1940s to bolster military morale, turn these timepieces into appealing statements of hope and freedom. 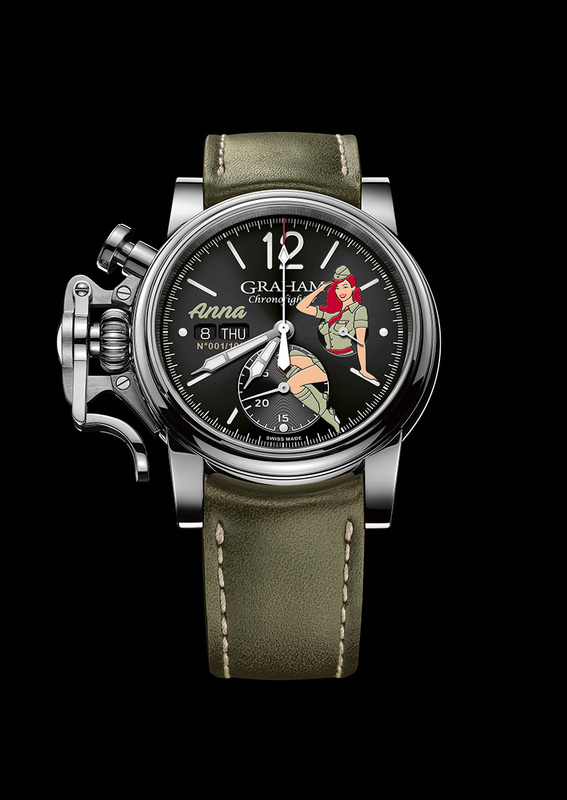 The pinups on the Graham Chronofighter Vintage Nose Art Ltd family tease and please as they write a further chapter in the Anglo-Swiss brand’s passionate tale of aviation heroes and highlights. Graham presents the Flying Forties in watch form.